Guinness has extended its title sponsorship of the Pro12, the rugby union championship involving elite teams from Ireland, Scotland, Wales and Italy. The deal will take the sponsorship to 2020. Guinness took over the partnership in 2014 from RaboDirect, which succeeded Magners in 2011. Guinness enjoys a strong brand association with rugby. It grew sales 4% in the second half of 2015, which Diageo said was due to "strong" activation around the Rugby World Cup in September and October – despite Heineken being the official beer of the tournament. Last year, the brand made an audacious bid of £45m a year over three years for the Premier League title sponsorship – an increase of £5m per year on the amount paid by Barclays – but was turned down when the League opted not to continue with a title sponsor. Carling later renewed its commercial relationship with the Premier League, this time as its official beer. 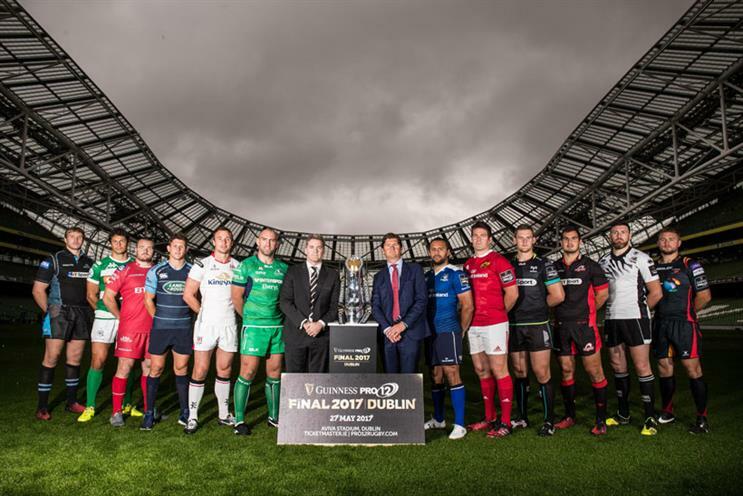 Diageo Ireland country director Oliver Loomes said: "The Guinness Pro12 is one of the most competitive and exciting competitions in world rugby. We are looking forward to enjoying some more epic encounters with the best teams from Ireland, Scotland, Wales and Italy."